Collins Recycling is a family-owned, locally operated scrap metal collection business which has been providing superior scrap metal recycling services to domestic, industrial and commercial clients for over 28 years. As well as recycling your scrap metal quickly and efficiently, we also provide a comprehensive waste disposal service for other industrial and computer by-products. Over our years of operation, we’ve gained a reputation for our quality recycling services, excellent prices and high standard of customer service. With a team of experienced, professional and friendly staff ready to turn your scrap into cash, we are the recyclers you can trust to get rid of your waste fast! If you have any questions about what metals and materials we can take, or to arrange a collection, please contact us and one of our team will contact you as soon as possible. 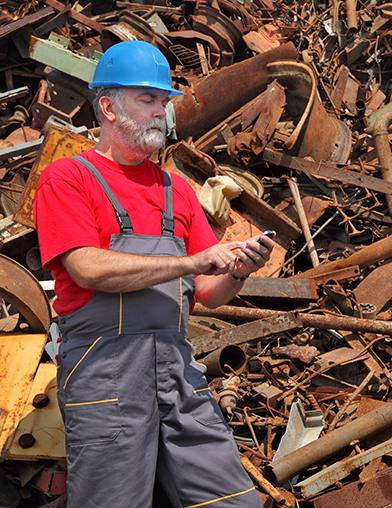 We offer some of the very best prices available for your scrap metal, so give us a call today for a free quote! TO CONVERT YOUR SCRAP METAL INTO CASH, CONTACT COLLINS RECYCLING TODAY!